Dig into delicious delicacies and surround yourself with energetic vibes by heading to CLUB-4U. Located in Sector 29, Gurgaon, CLUB-4U is the ideal place if you want to experience an evening that is filled with food, laughter and music. CLUB-4U is an trendy bar and club that is meticulously created with a taste for finger food delicacies and holds all the essential elements for a jubilant aura where music, a modern dance floor and signature curated cocktails at the club bar come together to put the sizzle back in city nightlife. 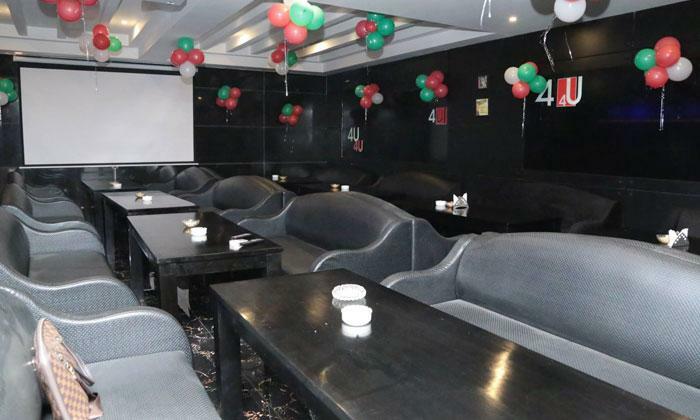 CLUB-4U is known for its tasty assortment of food, wide selection of unwinding drinks and its energetic space with a pleasant ambience and plush seating. The staff here is friendly and prompt in their service.